Chain Of Flowers: Cure went to Preservation Hall Sunday night! I'm so confused Craig - what exactly is Preservation Hall, and how were the Cure there on the same night they played VooDoo? They finished their Voodoo set just after 9. The Beats Antique show was at Midnight. 3 hours is plenty enough time to get from City Park to the French Quarter. "The Preservation Hall is a musical venue in the French Quarter founded in 1961 to protect and honor New Orleans Jazz." The building itself dates back to 1750. It's pretty special. Thanks for the explanation - I was thinking they finished much later than that since they have closed out many of the festivals they have played this summer. They did close the festival, but the curfew on Sunday was 9pm. I've been inside that hall. You literally breathe the history of that place. Wonderful shot of Robert smiling! Oh my Gosh!!! If I had known, right after the Cure finished I would have been there! I would have loved to watch Robert,Simon and the others, relaxing and enjoying someone else perform. Although it would have been difficult not to take my eyes off of Robert Smith as well as not fainting! 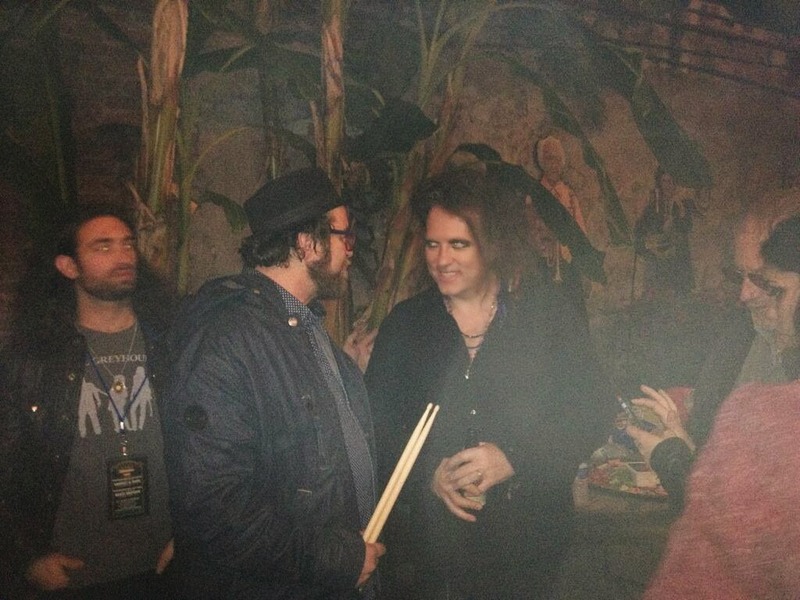 Ive loved the Cure/Robert for over 25 years! This photo makes me smile everytime I see it. After holding our Front Row spot for 10 hours and not eating or running to the restroom we were so hungry and exhausted, not to mention that I just saw my favorite band of all time from the FRONT ROW. The next day I read about this and was absolutely crushed. Our hotel was a mere 8 blocks from Preservation Hall. It simply wasn't meant to be. I still had an absolutely FANTASTIC time and met some new friends. Thank You to THE CURE for making me a very happy woman.